We're getting questions about Bipolaris right now. Here are bullet points for diagnosis and action on this August disease alert. 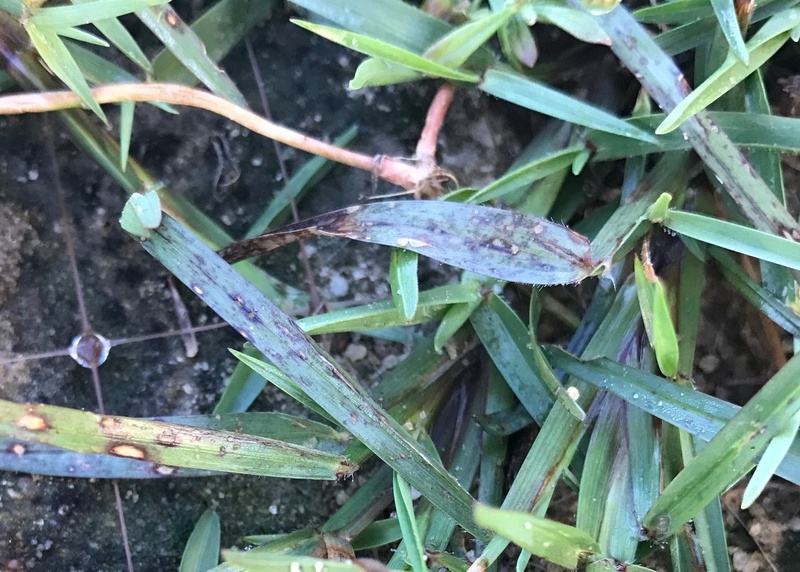 Look on your grass leaf blades for purplish brown to black spots with tan centers (see examples below). 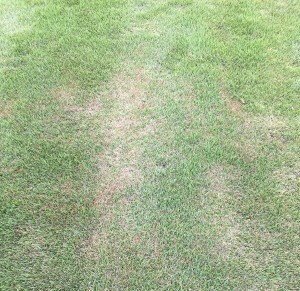 We especially see this disease after a lot of Nitrogen is applied, then the lawn is scalped. 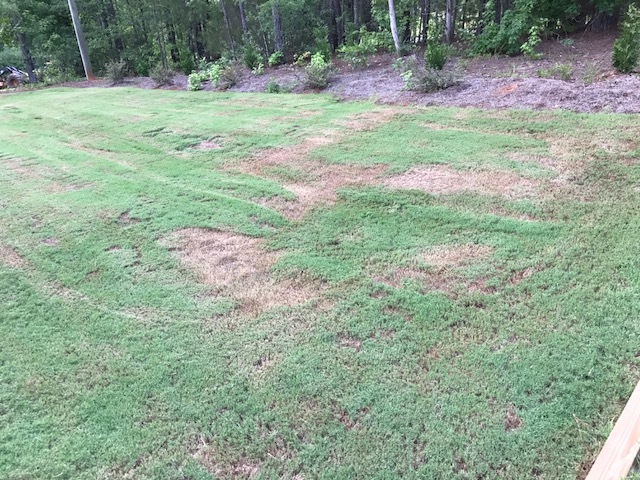 All Bermuda, Zoysia, and Centipede lawns are prone to this disease under the described conditions. Application of high Potassium fertilizer as soon as symptoms appear. 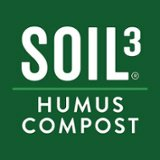 We recommend at least 3 times more Potassium (K) than Nitrogen (N) and have 5-10-30 (N-P-K) in stock. We carry both the appropriate fertilizer and fungicide in our stores. Bipolaris Identification: Look for purplish brown to black spots with tan centers. Scalping when mowing is a Bipolaris Trigger Condition. 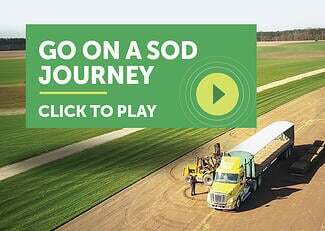 Find your nearest Super-Sod and come by as soon as possible for Bipolaris treatment options.